As a member of FP Mailing System’s dedicated dealer network, NYBS provide sales and rental options for postage meters, folder-inserters, and mail center products. Optimize and expedite your mailroom workflows and cut shipping and handling costs exponentially. Schedule an appointment with one of our specialists to learn more! Postbase One excels at swiftly and reliably processing high volumes of mixed mail formats without breaking stride. Its nearly one-inch pass-through is the widest in the industry, which means it can even handle fat, padded envelopes, and thick publications. Postbase One is the only machine for businesses that feeds mail vertically—just like the U.S. Postal Service. This allows for the most reliable, jam-free operation. And if you add the available inline automatic dynamic weighing option, you can load mail without presorting and let Postbase One run postage automatically with the speed and efficiency it’s renowned for. 10 lb. integrated scale, upgradeable to 15 lbs-70lbs. Low-Volume Letters: Small businesses that process primarily letters with occasional packages sporadically throughout the day. Shipping: Used as a shipping system with MailOne 2.0, such as a small ecommerce business. PostBase 45 is part of the FP’s PostBase line of postage meters. The PostBase 45 is 50% faster than the PostBase 30 and comes standard with more capacity in several important aspects, including the 10lb scale weight and 20 cost accounts. In semi-automatic mode it’s fast enough to support a busy small business. With the fully automatic feeder/sealer, the PostBase 45 turns into a true workhorse for larger mail volumes. 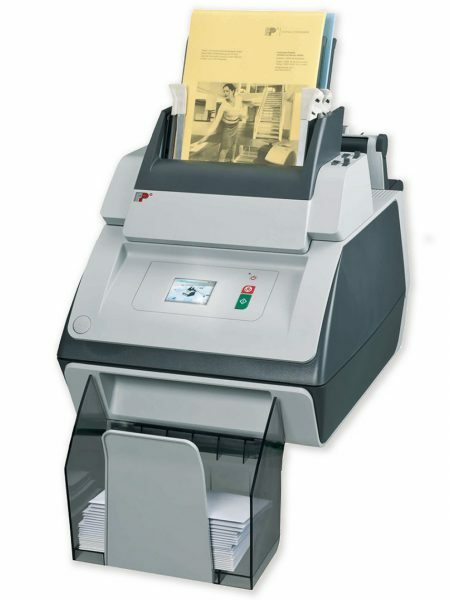 You’ll especially appreciate the auto-feeder when faced with large piles of mail to process in a single session. 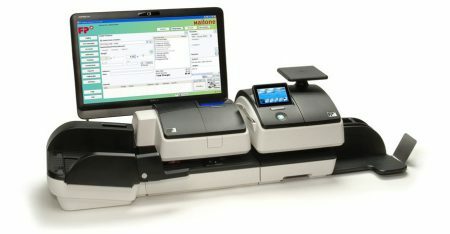 Simply stack the envelopes and let the machine do the rest. Introducing the FP PostBase 65. This total solution brings best-in-class mailing technology, smooth feeding and intuitive operation to your office environment. 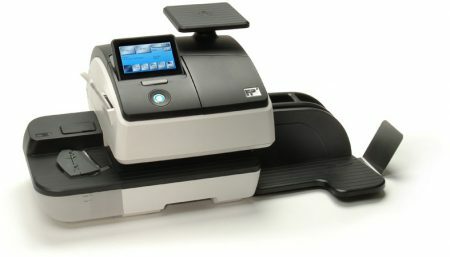 PostBase Integra is part of the FP’s PostBase line of postage meters. The PostBase Integra is 31% faster than the PostBase 65 and comes standard with auto-feeder/sealer, differential weighing and 100 departmental accounts. This high-capacity dynamo easily handles high volumes of daily mailing. It can also process large mass mailings, applying postage and sealing up to 2,500 letters in a half-hour with minimal operator involvement. While other tasks keep you busy, the pile of letters and invoices waiting to be mailed keeps pilling up. Feed, fold, insert and seal them in no time with the FPi 600 tabletop inserting system. 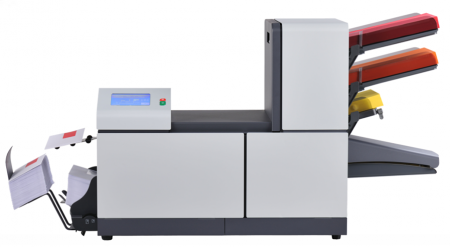 The FPi 600 is a paragon of automated simplicity and flexibility for small offices that regularly mail folded material, such as invoices, statements, promotional letters, and legal documents. Processes up to 1,350 letters per hour. Holds 100 sheets per feeder. Two sheet feeders and one insert feeder supports complex jobs. Adjustable catch tray handles numerous envelope sizes. Supports envelopes sizes from #10 to 6”x9.5”. Supports paper sizes from 5.6”x7” to 8.9”x14”. Compact size fits on standard desk or table tops. Fast, low-cost, full-color printing for envelopes and more! 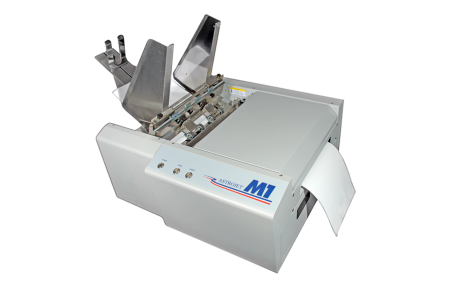 The M1 uses pioneering memjet® technology to produce the fastest color envelope printing in its class. Capable of pushing up to 7,500 envelopes-per-hour, this powerhouse can cover all your paper printing needs with a rich 16.8 million-color palette with a super-sharp 1600×1600 dpi print resolution. Whether you’re a corporate/organizational mail room, a dedicated print shop, marketer, or mailing house, you’ll find the M1 to be a compelling solution for your color printing needs.